Penny and Jason each recall their days in Constantinople and the disastrous event that began their personal tangle. What if's abound, but common sense now demands they make the best of the noble sacrifice Jason made to save Penny from Sultan Selim, ruler of the Ottoman Empire. Also instrumental in Penny's rescue is the British Ambassador, Lord Elgin, whose struggles to have his "marbles" accepted by the British Museum become part of the story of the Earl of Rocksley and his surprise bride. Unfortunately, Penny's debut as the Countess of Rocksley is marred by rumors of her time in the harem of the Topkapi palace and by Jason's mistress, who just won't take "no" for an answer. Penny's attempts to fit into society, in both London and in Shropshire, come to naught, and she is the one who cuts the Gordian knot binding them together. Will Jason forge a more lasting tie? Does he want to? Or has he suffered enough for a youthful excess of heroism? ". . . The book also has an ambiance that is simply of a different flavor than that of a typical Regency. 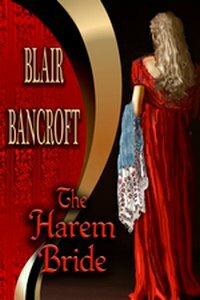 If you like daring and originality in your Regency authors, I suggest that you pick up all the Blair Bancroft titles you can get your hands on. "Blair Bancroft does it again! . . . once again, she has offered us a tale rich with Regency settings, but unique in characters and plot. . . . Bravo, Ms. Bancroft, for not being afraid to shake the genre up a bit - I think the Prince Regent himself would have applauded your daring.